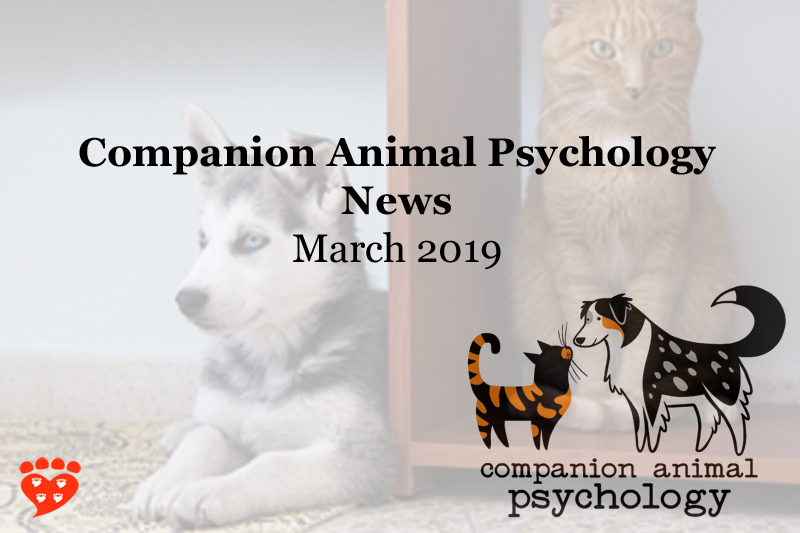 Animal cruelty investigations, cat music, dog parks, and interviews with dogs...the latest Companion Animal Psychology news. If you’ve ever tried to get a wriggly puppy into a harness, this post is for you. Gearing up: How to harness your dog or puppy by Joan Grassbaugh Forry CTC. 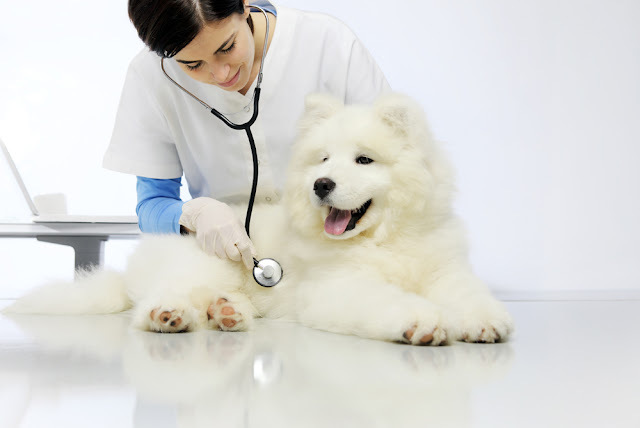 “The one symptom I cannot ignore, however, is my dog’s tiny head, resting on my leg during a portion of the day when she’s usually ignoring me.” How your dog knows when you’re sick, by Amanda Mull. "When you’re training a dog using a good plan and good treats, the dog is so keen to work it feels almost criminal." Kristi Benson CTC ponders the question, is training your dog unnatural? “I have been leading a team studying animal cruelty investigation work and workers for the last few years. It is difficult research, to put it mildly.” Preventing animal cruelty is physically and emotionally risky for front-line animal workers by Dr. Kendra Coulter. Should self-driving cars spare people over pets? Prof. Hal Herzog on the results of the Moral Machine experiment. “In Chicago and other cities, the demand for pet-friendly public space has boomed. But many communities see off-leash parks as heralds of gentrification." 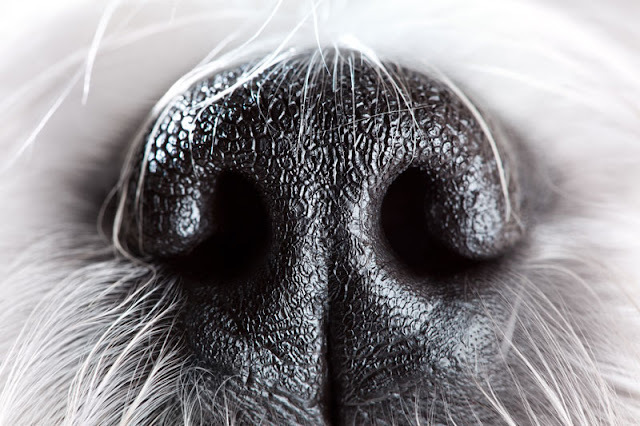 Kriston Capps asks, are dog parks exclusionary? And while we’re on the subject of dog parks, if you want one, you want it done right. “But what I really want in a dog park is good people.” My dream dog park by Tim Steele CTC. Don't forget to leave a comment to say what's on your list. 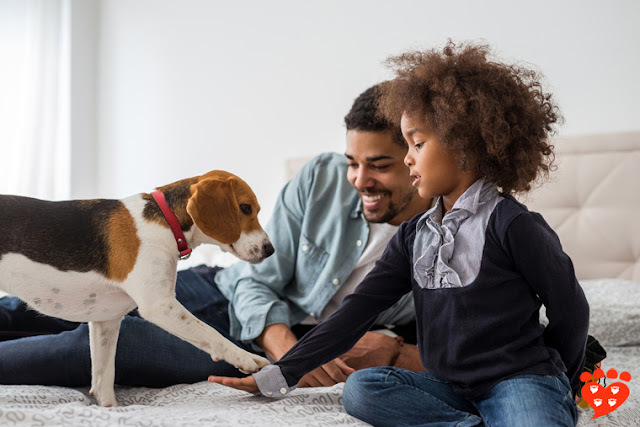 “Their lovely ears are not only are used to hear what's happening around them, but also to send various messages to other dogs and to humans.” How dogs hear and speak with the world around them by Dr. Marc Bekoff looks at dogs ears and at the communicative noises dogs make. Cat music: “its distinguishing factors perhaps not so much the quality of the tunes, but the sounds created for their similarities to purring and other sounds that cats might find attractive (like squeaking noises and suckling sounds)." Dr. Mikel Delgado looks at a new study in can music make cats less stressed out? The Animal Training Academy interviewed Jean Donaldson of The Academy for Dog Trainers about how she got into dog training, the problem of burnout, and fear of dogs. Sound bites: Dogs on the microphone. A great set of photos at The Atlantic of dogs (including famous ones) being interviewed by the media. Put together by Alan Taylor. Photos from behind the scenes at North America’s truffle dog competition. By Helen Carefoot with photos by David Williams. Companion Animal Psychology brings you science news and evidence-based information about dogs and cats, since 2012. If you love Companion Animal Psychology, you can support me on Ko-fi. Ko-fi does not charge fees, and you can make either a one-time or monthly donation. 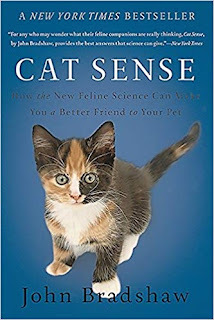 This month, the Companion Animal Psychology Book Club is reading Cat Sense: How the New Feline Science Can Make You a Better Friend to Your Pet by John Bradshaw. It’s a fascinating account of the evolutionary history, biology, and behaviour of domestic cats. I’m quoted in this post by Marc Bekoff for Psychology Today on why some dogs like to be touched but others don’t. I share a few tips on senior dogs in this Bustle article, 11 ways to take care of your dog as it gets older. I’m quoted in this piece in by Linda Lombardi in National Geographic, about some new research on the personality traits of dogs and their owners. I also wrote about this study here on Companion Animal Psychology: Dogs’ personality traits vary with age (and dogs tend to be like their owners). I have a piece on cognitive aging in dogs in the Spring 2019 edition of West Coast Veterinarian. This month I published Kristi Benson’s thoughtful reflections on the ways in which dog training is like fiction. If you like fiction, or dog training, you’ll enjoy the read. It's a beautifully written piece. Into the middle of things: dog training lessons from the best fiction. I wrote about a study on the effects of training cats to use their carrier when it comes to vet visits. 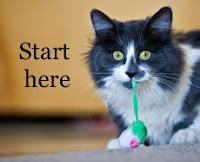 Spoiler alert: cat carrier training helps! Cats trained to use their carriers find vet visits less stressful. And I also wrote about the differences in lifespan between dogs of normal weight and those that are overweight. I was surprised at how large the difference is for some breeds; it’s sobering reading. Most of all this month I've been busy working on copy edits for my book Wag: The Science of Making Your Dog Happy. I can't wait to share more about it with you. Wag will be published in February 2020. 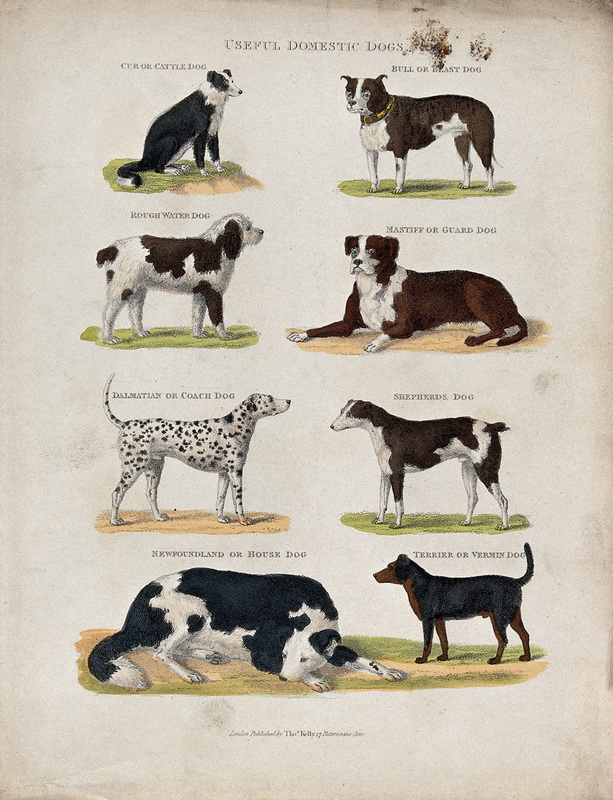 This month’s picture is an illustration called Useful Domestic Dogs, which is in the Wellcome Collection. It shows a cur or cattle dog, a bull or beast dog, a rough water dog, a Mastiff or guard dog, a Dalmatian or coach dog, a shepherds dog, a Newfoundland or house dog, and a Terrier or vermin dog. The etching with watercolour is by Thomas Kelly of London, and the Wellcome Collection does not give a date for it. However, I found an old listing on eBay that says it is from Buffon’s Natural History, published in London in 1860.